The fashion fiesta of IMI, New Delhi - Flamboyance, will be organized on the evening of Day 2 of KRITVA'19. It is an exclusive showcase of charisma and talent. Teams from across various B- schools participate in the event with alluring attires, charming aura and unprecedented themes. It is an ensemble of creative ideas along with glamour and talent. Teams, with their wow factor will leave the crowd spell-bound and enthralled with kaleidoscopic garment designs and captivating choreography as colorful, glamorous and jaw dropping models take center stage – Definitely not something to be missed!! There will be one round. Only one team from a college is allowed. Maximum number of members of a team should not exceed 16 with a maximum of 10 people on stage at any point of time during the performance. This number (16 people) includes the choreographers, designers, stylists etc. besides models. All performers MUST BE MEMBERS OF THE SAME COLLEGE. Each member of a team should submit hard copy of a standard postcard sized photographs and college ID cards of all the models along with the tag numbers of each member on the day of on campus round i.e. 2nd February, 2019.This will help the judges to have a closer look at them and also help them decide for Mr. and Ms. Flamboyance (best male and female model awards respectively). The deadline for the same is given below. Each team must also give the name of one Designer/ Stylist who could be called upon the stage on judges' request after the team's performance for Q&A. If a team fails to stick to the time limit mentioned below, penalty will be imposed on their overall score card. Teams are responsible for their dresses, make up and background music. Teams are requested to bring their soundtrack in easily transferable media such as pen-drives. They are also suggested to keep a copy of their soundtrack in their email ids as a precaution in case the media does not work properly. A copy of the same must be sent to us 5 days prior to the fest. The track should be at least 14-15 minutes long (i.e. longer than the time limit of the sequence). The ramp dimensions will be provided at the time of physical registration at IMI. All teams are required to register their team at the registration desk and submit all the necessary documents 3 hours prior to the event. Water, fire, hazardous materials and animals in any form are not allowed on stage and ramp. The final discretion for the usage of all props will rest entirely in hands of the organizers of the event. Teams are advised to use 'Sensuality' rather than 'Obscenity', the repercussions of which may get reflected in the scores. So the team can talk to organizers in advance if they have any confusion regarding the same. The decision of the judges will be 'binding' and 'final' for all. The top models might be given an opportunity to walk the ramp in a separate show during Flamboyance'18 which would also be used to judge them for Mr. and Ms. Flamboyance. Stay connected to our Facebook page for further details on this in the next few days. All teams are requested to reach at least 3 hours before the event starts. Green room will be provided to teams to change costumes, makeup etc. subject to availability. Teams are requested to bring all the props which they want to use in the performance. No request for providing any prop will be entertained. Smoking and drinking is strictly prohibited in the IMI campus. Accommodation will be provided only during the fest and to only those students who are coming from outside Delhi- NCR subject to availability. Kindly contact the organizers for any queries. No expenses for travel will be given. All the above points are subject to change in case of adverse situation. 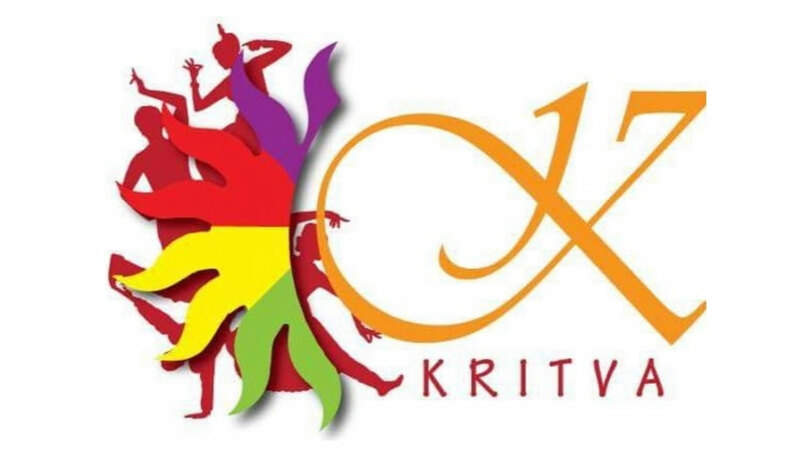 Please check the Kritva'18 Facebook page regularly for any minor/major change to the above rules or any updates. Participants are advised to be active on the page for regular updates. They are also free to call the organizers for their queries. * Subject to change as per the requirements of the sponsor.